Conference hosts are a partnership of the Faculty of Divinity of Trinity College and Wycliffe College (in the University of Toronto) and the Canadian Church Historical Society (a co-operator with the General Synod Archives of the Anglican Church of Canada). 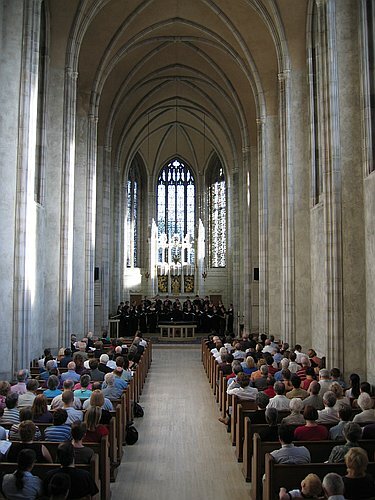 As two of the most important hubs of theological education and training for ministry in Canada, members of the ecumenical Toronto School of Theology, Trinity and Wycliffe represent the breadth of the Anglican tradition, an ideal location for welcoming friends and colleagues from United States of America, and beyond. Papers and presentations focus on the Anglican/Episcopal tradition responding to historical experiences of traumas from the Reformation to the present. A list of those accepted to be presented are available here. The Tri-History Conference is held every three years co-sponsored by the Episcopal Womens' History Project, the Historical Society of the Episcopal Church and the National Episcopal Historians and Archivists. ​​​​​Additional support is being provided by the Anglican Foundation of Canada. Additional support is being provided by the Canadian Church Historical Society. 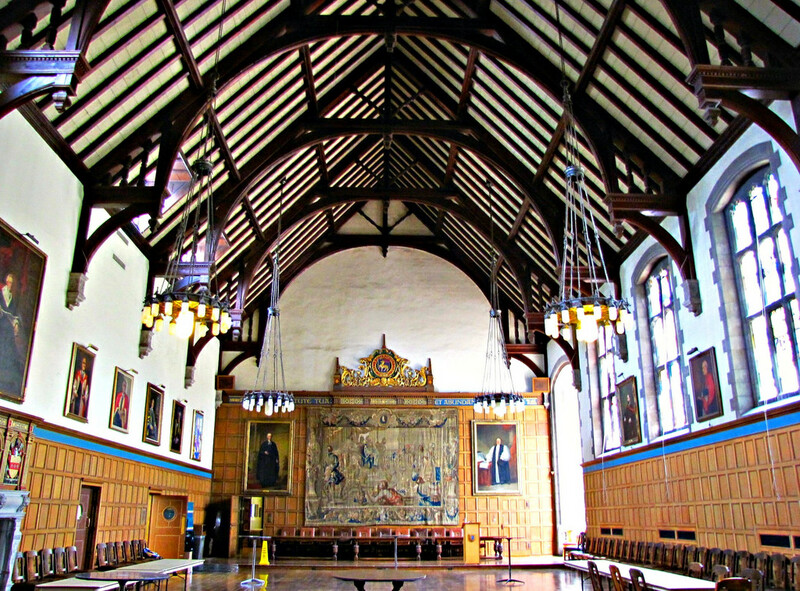 Divine Worship, speaker sessions, meals, and social events take place at both Trinity and Wycliffe, conveniently located on the University of Toronto campus. Many activities, including most meals, will center around Strachan Hall (pronounced "Strawn"). Average temperatures are 72/50 (F) or 22/10 (C). 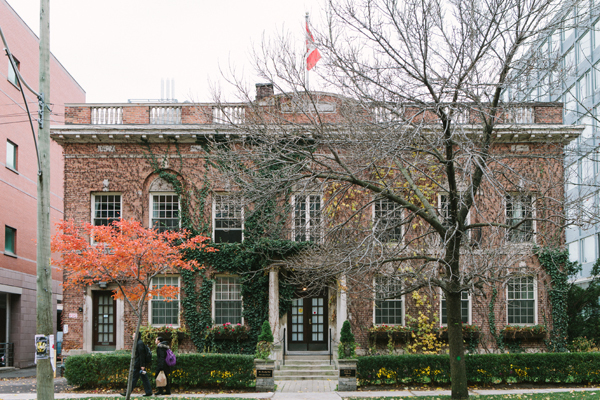 The University of Toronto boasts a safe, elegant campus in a central location in a multicultural city close to the Royal Ontario Museum, Art Gallery of Ontario, luxury shopping, hotels, and dining, and a theatre district. Opening Eucharist with the Most Rev. Fred Hiltz, Primate of the Anglican Church of Canada, presiding. Prof. Eric Taylor Woods of the University of East London, UK, author of A Cultural Sociology of Anglican Mission and the Indian Residential Schools in Canada: The Long Road to Apology. A Healey Willan-themed concert In cooperation with the Rev’. Canon David Harrison, Rector and Andrew Adair, Director of Music at the Church of St. Mary Magdalene in Toronto. Participants may take public transportation downtown to visit the Cathedral. Additional nearby options will also be available. Reserve of the Six Nations of the Grand River, near Brantford, ON to visit the Mohawk Institute, HM’s Chapel Royal of the Mohawks, and the Woodlands Cultural Centre. Includes a bag lunch. Conference organizers endeavor to connect conference delegates with specialist research agendas to sites, repositories, or institutions of relevant interest. Where customization of the experience of attendance can be achieved, organizers deem this desirable. The Joint Planning Committee makes the conference go and work towards honoring all sponsoring organizations with a program reflecting the common areas and various goals of each; providing a setting for introduction of new scholarship on a given topic area; and providing an (inter-)national conference with (inter-)national focus while providing for a regional flavor. Dr. Jonathan S. Lofft teaches courses in Anglican history and identity as an Adjunct Instructor in the Faculty of Divinity of Trinity College in the University of Toronto and the affiliated Toronto School of Theology. He is also a Research Fellow of Huron University College at Western University and teaches at Queen’s College in the Memorial University of Newfoundland. He has published and lectured internationally, earning his doctorate with a thesis entitled A Blessed Word: the Mixed Life of Edward Marion Chadwick (1840–1921), research supported by a Fellowship from the Social Sciences and Humanities Research Council of Canada, and now under contract for future publication by the University of Toronto Press. Jonathan’s edition of Chadwick’s voluminous diaries is contracted to the Champlain Society for future publication. A trained archivist, his research interests include Anglican studies, Canada’s Indigenous peoples, colonialism and imperial history, medievalism, onomastics, hagiography, and heraldic studies. Jonathan serves as vice-presidents of the Canadian Church Historical Society and the Canadian Society for the Study of Names.